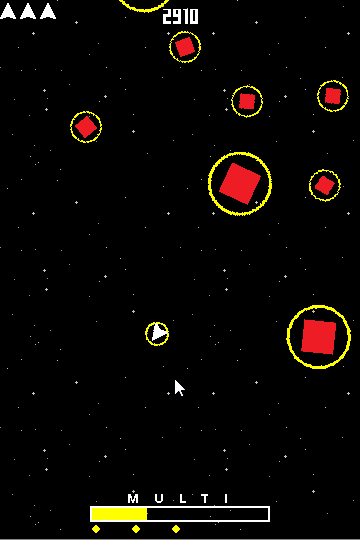 DO(N'T) DIE, a space action game created for GMTK Jam! Created for Game Maker's Toolkit Jam, DO(N'T) DIE is a game with simple mechanics and a simple goal: dash through enemies and earn the highest score possible. But careful manipulation of your MULTI bar and when you die will be the key to success! The game was created in 48 hours, with the premise of everything having multiple purposes. I especially wanted to make sure the Title Screen and Death played multiple roles, as well.